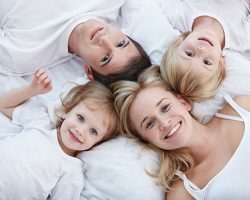 To visit a dental team that cares just as much about your loved ones’ smiles as you do, contact Gentle Family Dentists for all your family dentistry needs! At both our West Liberty, IA and Muscatine, IA dentist offices, we offer a wide variety of treatments for patients of all ages, including the pediatric dentistry for the littlest smiles in your family. Check out the video below to hear Dr. Roberto Moreno discuss his dedication to family dentistry. For friendly family dentistry and much more, call Gentle Family Dentists at 563-288-2612. You can also use our online form.